Save the Date: Saturday, October 5, 2019! 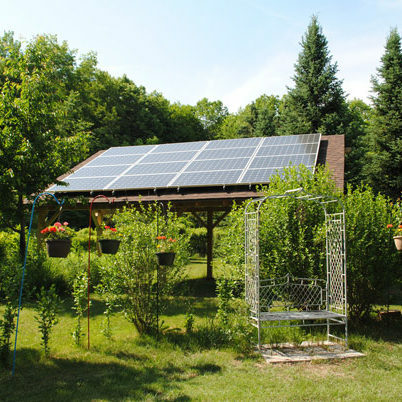 Join people across Wisconsin from 10:00 a.m. to 4:00 p.m. for a statewide Solar Tour! Homes and businesses throughout Wisconsin will open their doors to demonstrate and share strategies for energy-efficiency, renewable energy, and sustainable living. Site tours are self-guided, free and open to the public. This event is part of the ASES National Solar Tour, involving 150,000 participants and 5,000 solar-energy sites. Scroll down to see a map of participating sites in the Wisconsin Solar Tour. Check back in September 2019 for information about this year’s event! If you’re interested in being a Solar Tour Host Site, please email info@midwestrenew.org and we’ll add you to our Solar Tour Info email list. While we’ve done our best to ensure the accuracy of the interactive map, there may be mapping errors that are out of our control. Please see the Site Listing Document for the full address and contact information. Would I need to let people into my house? A: Not if you don’t want to. 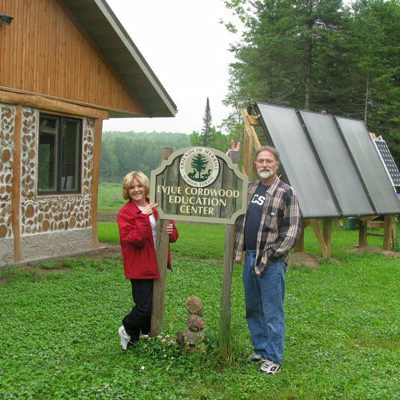 You can conduct the tour outside of your home, showing renewable energy systems, and components like inverters or meters, any energy efficient features, sustainable living techniques, and landscaping. It’s a great way to show folks who are unfamiliar with solar energy, just how simple, and beneficial it is. What do I do if people ask questions I don’t know the answer to? A: If you’re not sure of the answer a visitor asks, that’s ok! We’ve put together informational solar resources to have at the ready and on display for guests. Direct them to the resources you’ve printed out, and let them know they can contact the Midwest Renewable Energy Association for more information and courses. info@midwestrenew.org, www.MidwestRenew.org, or 715-592-6595. What should I do to promote my site? A: Letting your local paper or radio station know about your participation as a site on the Wisconsin Solar Tour is a great way to let people know about the tour and your site. Write a letter to the editor, and send it to your local newspaper, or give your favorite station a call. We’ve also put together printable posters, and graphics for social media. You can access the media kit here! What materials should I prepare for the tour? A: We recommend printing out a few copies of the informational resources that we’ve created for the Solar Tour. You can find them here. We recommend saving some copies of your utility bills to show folks how clean energy breaks down on your monthly bill. Please provide or print out a sign in sheet for your visitors,and mail it to the MREA after the tour. Does my site need to remain open the whole time? A: As a site on the Solar Tour, we ask that your site be available from 10 a.m. to 4 p.m. on the day of the tour. If you are only available at a certain time of day, please indicate so in the description of your site when registering. When your site is closed during the Tour, please indicate your availability on the front door, and leave some copies of the informational solar resources for visitors to take. Contact marks@midwestrenew.org if you need to make a change to your site listing.